I’m making this short and sweet. Kelly Diels posted this today. It basically says, Do Something. So I am. I’m donating the value of a Discovery Session ($150) to the Red Cross on behalf of the next person who books and pays for their Discovery Session. This is your chance to get something amazing for yourself and give something to people in need. I’ll update this Friday January 15 with more details, but for now, this is all that matters. Over on Twitter this morning, I came across this site. 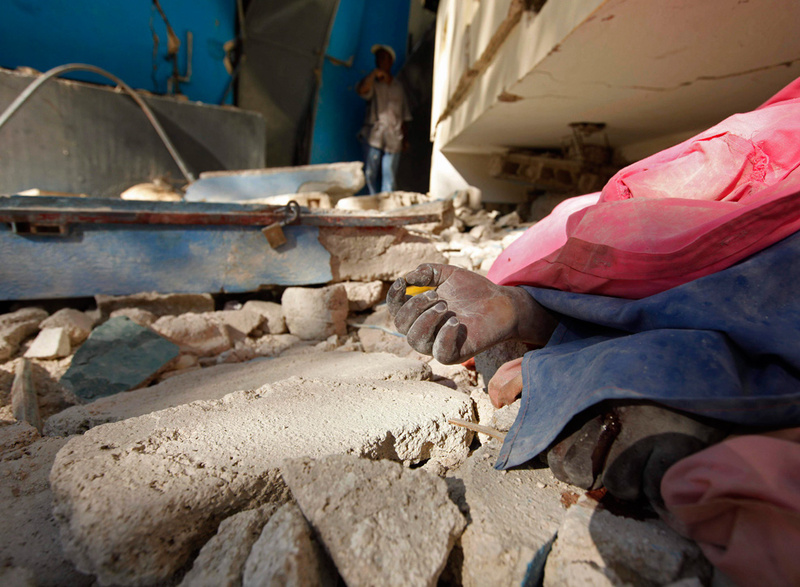 It shows some pretty graphic images of the aftermath of Haiti’s earthquake. And they even warn you on the really graphic ones the capture some of the horrific injuries and death scenes. I’m typically not one to click on those sorts of picture, but today I did. I felt it was important for me to connect with whom and what I’m donating to. Tears streaming down my face as I looked at photo after devastating photo, it took no time at all to find that connection. That connection is humanness. It’s mortality. It’s reality. It doesn’t get any realer than a child’s hand peeking out from beneath the rubble of a building that’s crushed a tiny life. It breaks my heart. The more I see, the more I read, the more I know that I can do more. Last night I posted that I’ll donate my Discovery Session Fee to the Red Cross on behalf of the next person who books and pays for said Discovery Session. Today, I’m offering to do the same, but for every new client I get in the month of January. I have space for six new clients, which means $900USD. To get started, contact me here or via email at authenticrealities [at] me [dot] com and use “Help Haiti Challenge” in the subject line. For the first two people to sign up, I’ll throw in another $50 of your first month’s session towards that donation in your name to bring it up to an even $1000USD. You’ll be making an investment in yourself, and an investment in the lives of Haitians who have a hell of a lot less than we do right now. What are you waiting for? Dian. You said it better than I did. Thank you so much for joining in and spreading the word. Thanks Kelly. Looking forward to donating…I feel the first one will prompt a 2nd…and a 3rd…and…….